Mom passed away on Tuesday, June 12, 2018 approximately 7:10 PM on her daughter Mary Ellen's 69th birthday. She is predeceased by her husband, Frank L. Foote (3/14/2004); sister, Marie Ulmer Eckardt (11/5/1996); parents, Frieda Ulmer (2/13/1967) and Karl Ulmer (10/20/1960); nephew, Richard Eckardt (5/8/2011). She is survived by 6 children: David (Judy Andrews), Barbara (Steve Hay), Mary Ellen (Steve Antonson), J. Eric (wife Saralie Rothstein (deceased 3/6/2010), Elsbeth, Suzanne. Also leaves behind 7 grandchildren, (Rebecca, Brian, Suzanne (Mike), Denise (Ken), Jennifer, Jimmy, Adam; 11 great grandchildren: Katlyn, Matthew, Nathan, Lilly, Joe, Donovan, Jaxson, Chase, Nahalla, Robbie, Cayden; nephew, John Eckardt (Peggy); niece, Dottie Eckardt. 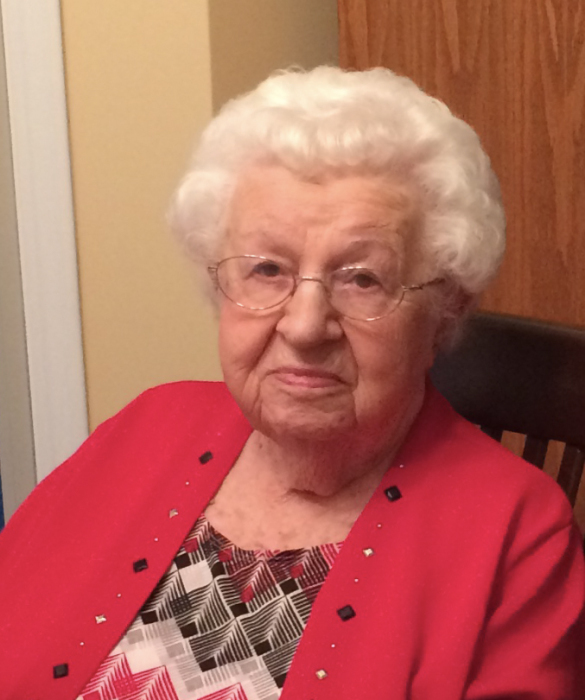 Mom was a house wife for many years and worked for 20 years at Rochester Savings Bank. She was a life long member of Coventant United Methodist Church. Her main interests were reading, playing bridge and most important was her family. She played bridge for many years and loved her woman church friends. She lived for many years in East Irondequoit raising her children and Mom & Dad moved to Webster in 1963. In 2010, Mom moved to Liverpool, NY to be near Mary Ellen and her family as Steve & I moved to Chandler, AZ to be near Denise and her family. Mom - you will be missed every day; now you can be with Daddy and all our deceased relatives. Love you Mom, RIP. No calling hours. Graveside ceremony for family at Mt. Hope Cemetery on Saturday, June 23, 2018 at 11:00. Donations can be made to the Memorial Fund at Covenant United Methodist Church at 1124 Culver Road, Rochester, NY 14609.